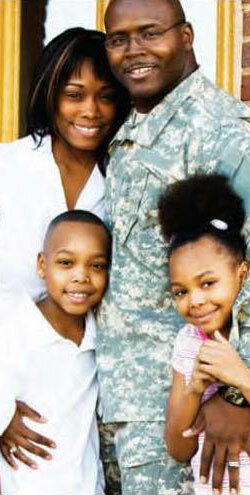 Conducts research into veterans' transition needs. Adapted "Resiliency Edge" program to create support program to help veterans make successful transitions to civilian life. 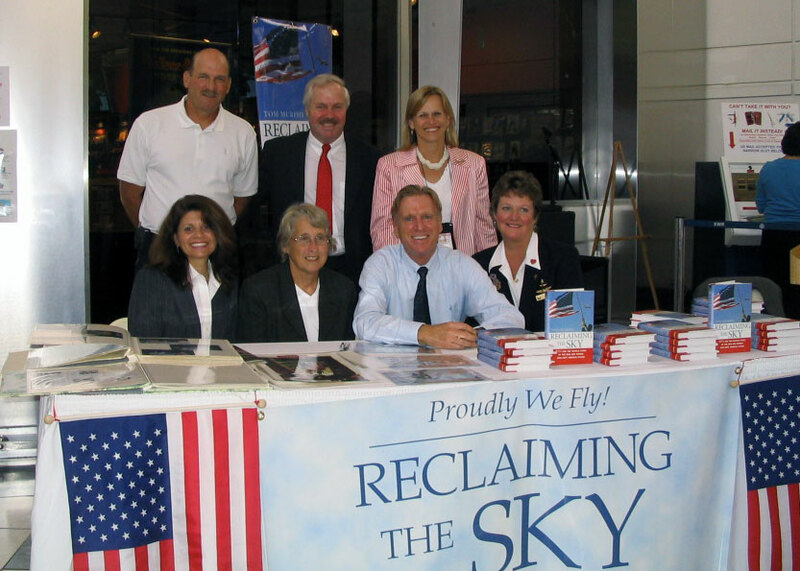 The 4 resiliency strengths used in Edge4Vets come from the stories of 9/11 heroes profiled in Reclaiming The Sky. 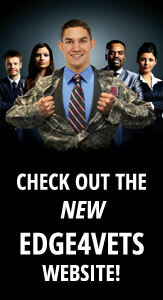 VETS, click on this short video above to see how Edge4Vets can give you an EDGE for the job you want! Edge4Vets helps veterans translate their strengths from the military, including strong core values and skills, into tools for civilian success. The program helps them meet challenges and seize opportunities to find a job and career in America's workplace of the future. In a series of workshops based on a resiliency training model that's been used successfully with 35,000 employees in aviation, health care and hospitality, veterans get support from business mentors who participate with them in the translation process. The mentors help them identify strengths they developed in the military and apply their strengths for success in school, work - and life. Returning to school after the military can be daunting as veterans find themselves readjusting to the "fluidity" of civilian life after living in an environment where many of the rules, regulations and processes were "fixed." In addition, many find themselves going from the "desert to a college desk" within 30 days, adding to the culture shock. The Edge4Vets workshop series was introduced in 2011 for veterans studying at Fordham University in NY. Based on that success, the program was expanded in 2012 to give veterans from a dozen schools, including CUNY (City University of NY) schools, a chance to learn how to get the most out of school and build support networks with business professionals, as shown in this photo of veterans participating at a workshop hosted by Bernstein Global Wealth Management in 2013. Read detail on how the three work in concert to produce a system of support. Based on the success of the program for veterans in schools, the Human Resiliency Institute has developed a program with a group of Life Sciences companies in Boston, led by Covidien, to use Edge4Vets to "Prep" and "Connect" vets for jobs in Life Sciences, Massachusetts fastest growing industry. Read this story in the Boston Business Journal. The Human Resiliency Institute is working with Carnival Corp, the Batchelor Foundation as well as corporate, civic and veterans' group leaders to bring the Edge4Vets program to South Florida, with a target start date of Fall, 2013. To ensure long-term benefits for veterans participating in program, the Human Resiliency Institute, in the Graduate School of Education, has enlisted two academic partners at Fordham, the Graduate School of Social Service and Fordham's Veterans' Initiative, to participate in a Resource Center. The Resource Center will provide links to sources for counseling, guidance and professional support - as well as offer an online vet-to-vet peer support feature. Participants in the program will have the ability to share their transition stories to support other veterans and demonstrate the value of a "Spirit of Community Service."